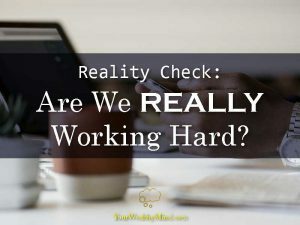 Reality Check: Are We REALLY Working Hard? Every weekday we spend an hour or more getting ready for work, an hour or so on the commute, eight hours in the office plus overtime, an hour or more again commuting home, and finally we’re too tired to do anything else aside from eating dinner, watching TV, and browsing Facebook (or social media). 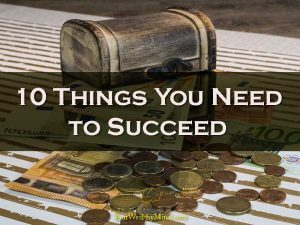 We all work hard at our jobs and businesses, so success should be almost guaranteed, right? 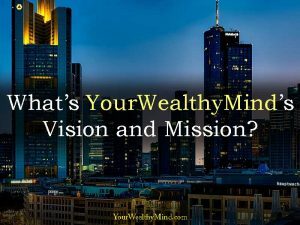 What’s YourWealthyMind’s Vision and Mission? It’s been almost three years since YourWealthyMind.com started so posting something like this seems a bit late. When you start a company, you will want to have a clear goal, a clear vision for its future, right from the start. Most of the time, however, although you know what you want to accomplish you can sometimes forget to actually write it down. This might be true for most small startups who are just starting out. 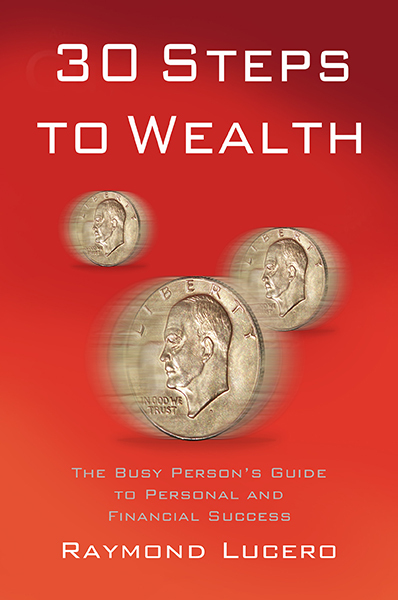 So what’s the vision and mission behind YourWealthyMind? Read up a bit as this might help you with how YOU plan your own company’s vision and mission. 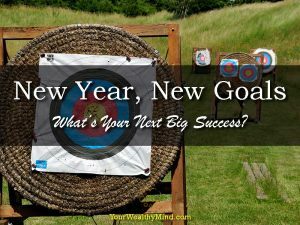 New Year, New Goals: What’s Your Next Big Success? A year has ended and another has just begun. If you want to start things right and accomplish more this year, you must prepare for all the things you want to accomplish for the next several months. It’s time to stop mindlessly wasting effort to simply survive and start planning how we want to thrive. After all, if you don’t know what you truly want, then it’s unlikely that you’ll ever achieve it. Let me ask you this now: What are your next big successes? Last month, my friends and I met up at a local mall to watch a new spy movie. There, a supervillain tried to poison millions of people in order to expand her illegal business. There was also a politician allowed people to die because it will make him more popular. By the end of the movie they both get their comeuppance: the evil supervillain dies from her own poison and the corrupt politician is in handcuffs, soon to be imprisoned for his crimes. If you’ve watched enough action movies, you’ll often notice that common trope. Villains get punished and heroes get rewarded. People get what they deserve. That’s the law of karma in action. While karma comes from the Sanskrit word for “action”, it also refers to the spiritual law of cause and effect. Everything we do (and do NOT do) affects our lives. Good deeds bring good results, bad deeds bring bad results. While it all seems “obvious”, we tend to forget about how it affects literally everything we do and our negligence indirectly causes our own problems and failures. 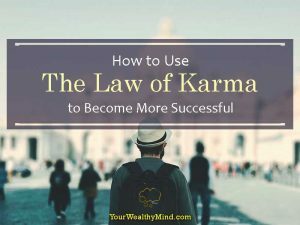 Now how can we use the law of karma to become more successful? Keep reading to learn more.